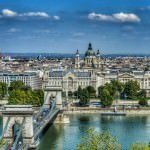 Looking for the best hostels in Vienna? 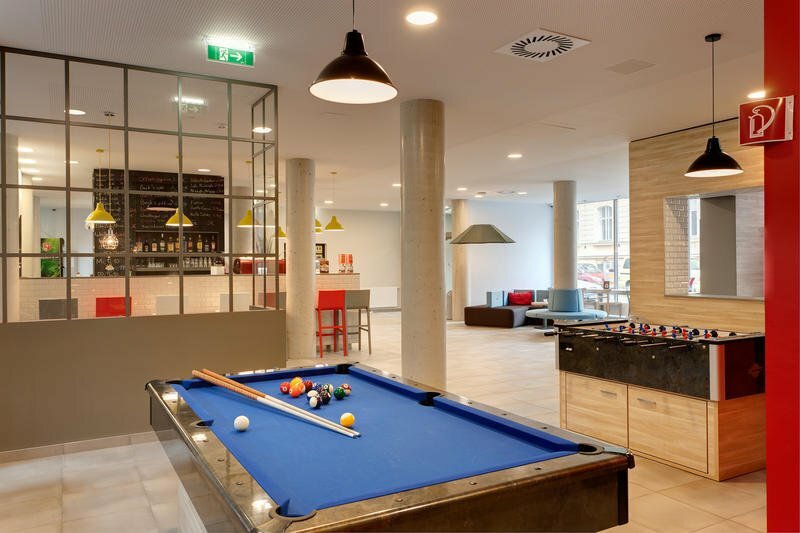 While there are many to pick from not all Vienna hostels are created equal. We’re here to help you pick out the best hostels in Vienna from all the rest. Hostels are one of the greatest tools a budget traveler has access to in order to keep costs down while exploring the world. 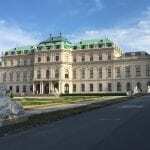 Vienna is not the cheapest destination in Europe, by a long shot, and can sometimes be a budget buster. 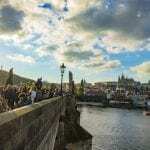 Luckily there are some great Vienna hostels that will allow you to keep costs down to a manageable backpacking level. 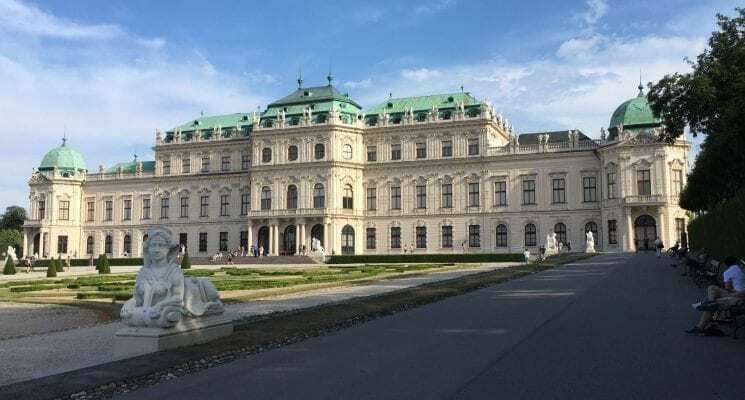 If you are a backpacker or a budget traveler then making use of hostels in Vienna is pretty key to ensuring you have enough money to spend on coffee in famed Viennese cafes, pastries (of which you will eat a lot while in Vienna, trust us), and activities. The Vienna hostels listed below are the cream of the crop. 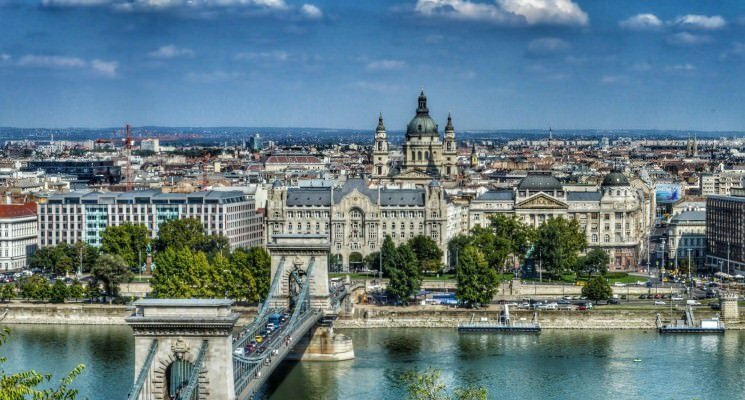 They are all clean, vibrant, well run establishments that make it easy for you get a good night’s rest, meet other travelers, and explore Vienna on a budget. 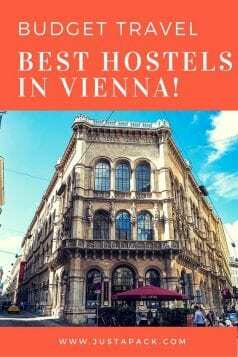 All the hostels listed below are without a doubt among the very best hostels in Vienna. 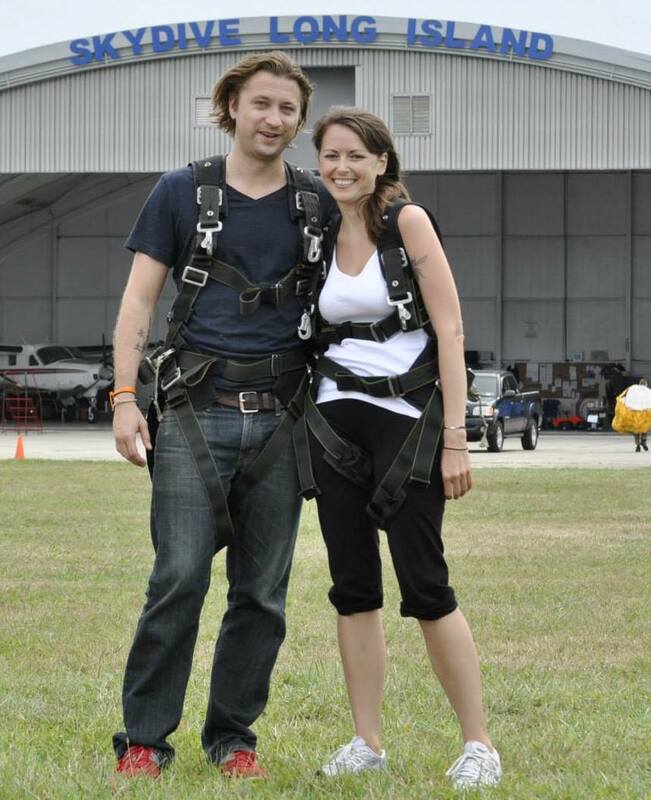 We visited all of them ourselves, and stayed overnight in a few of them. 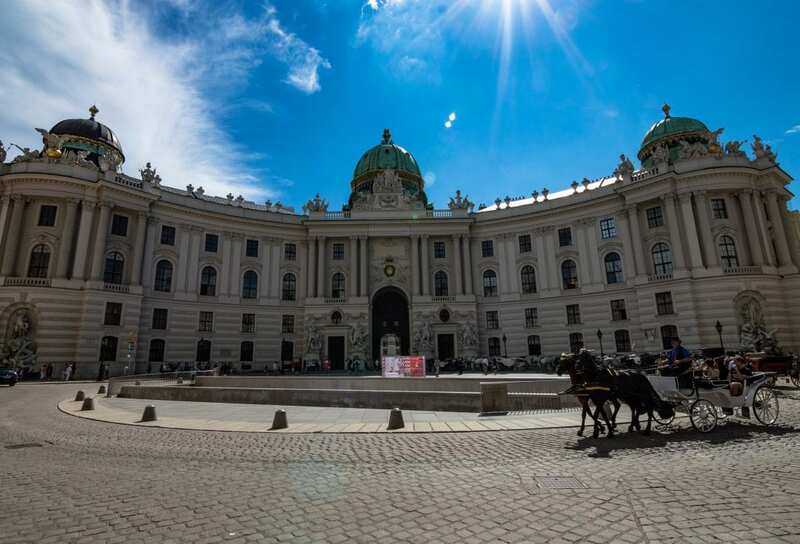 So check these Vienna hostels them out, book your stay, and go explore the Imperial City of Vienna. If you enjoy impressive cities filled with history you certainly won’t regret it! What can we say about Hostel Ruthensteiner? A lot actually! We called this lovely hostel home for three nights on a recent trip to Vienna and it quickly became one of our favorite hostels to date. Hostel Ruthensteiner knows how to make a traveler feel right at home. And they should, they’ve been catering to backpackers since the 1970’s. All those years of experience have translated into an incredibly well run hostel that practically guarantees a great experience for any traveler. Although this Vienna hostel has enough space to accommodate around 100 guests (95 beds, divided between 12 dorms and 25 private rooms) it still feels intimate and relaxed. Guests have the option to choose between a variety of dorm rooms, ranging from 6 to 10 beds, or private rooms with either en-suite or shared facilities. Prices average around €13 (basic) and €16 (standard) in low season, and go up to around €20 (basic) and €26 (standard) in high season. 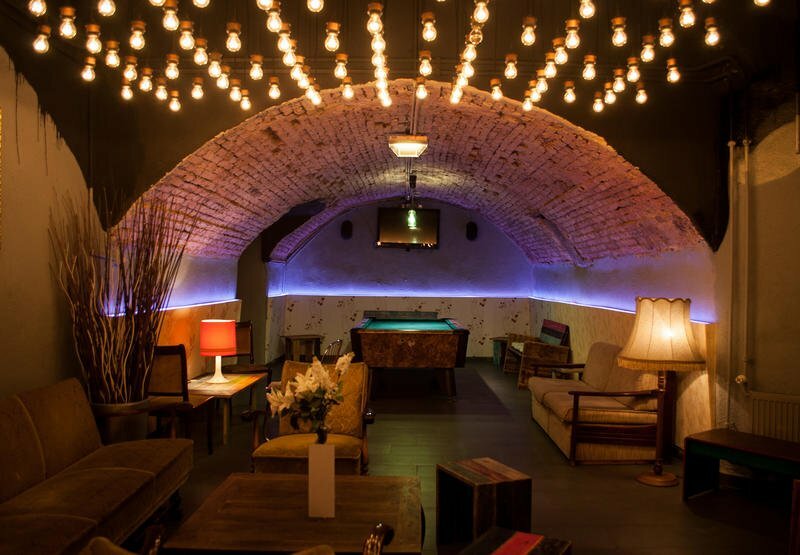 This budget friendly Vienna hostel affords guests plenty of opportunities to socialize. Their small bar is lively in the evenings and the communal dining room is a great place to chow down with other travelers after a day of exploration. The hostel even has a musical instrument library which can sometimes inspire impromptu solo or group jam sessions. As far as facilities go, this Vienna hostel excels there too. They have an onsite, self-service laundry room for guests to refresh their wardrobes, and an incredible kitchen. Probably the best kitchen we’ve seen in a hostel, in fact. It comes fully stocked with everything you might need to prepare a meal including spices, oil, cutting boards, knives, pots, pans, plates, and utensils. There is even a grill and herb garden in the courtyard for guests! We wholeheartedly recommend Hostel Ruthensteiner, and consider it to be one of the very best hostels in Vienna. For more information, reviews, or current pricing for Hostel Ruthensteiner check out HostelWorld or Booking.com! The Wombats City Hostel in Vienna at the Naschmarkt is one of the best hostel options for budget travelers and backpackers in Vienna due to its modern design, location, clean facilities, friendly staff, and relatively cheap on-site bar. 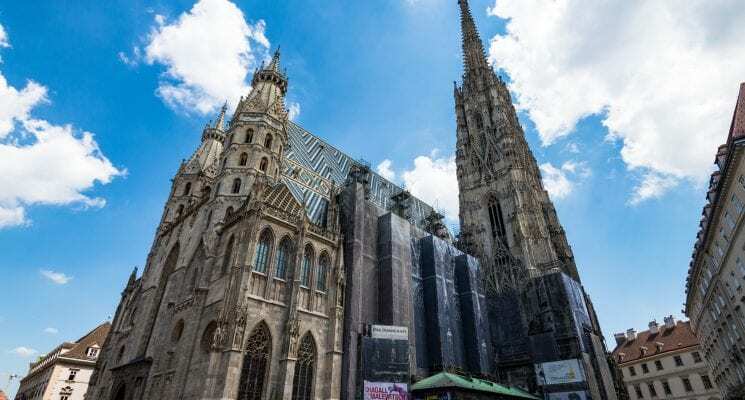 As the name implies, the hostel is located right across the street from Vienna’s largest outdoor market, the famed Naschmarkt, and a few minutes walk from the UBann public transportation system. This Vienna hostel offer guests extremely clean and spacious dorms (including female only) or private rooms with comfy beds to choose from. Hostel amenities include wifi, a lively bar with cheap drinks, a guest kitchen, lockers, and a complementary welcome drink. The one drawback to Wombats Naschmarkt is that the rooms can get hot during the summer as they aren’t equipped with air conditioning. Otherwise, it is an excellent option for anyone looking for a well run and budget friendly hostel in Vienna. Wombats Naschmarkt is without a doubt one of the best hostels in Vienna. For more information, reviews, or current pricing for Wombats City Hostel Naschmarkt check out HostelWorld or Booking.com! In addition to the Naschmarkt location, Wombats also has a hostel near the Westbanhof railway station called The Lounge. The hostel is also located steps from public transportation and is on Maria Hilfer Strasse street, the longest shopping street in Vienna. 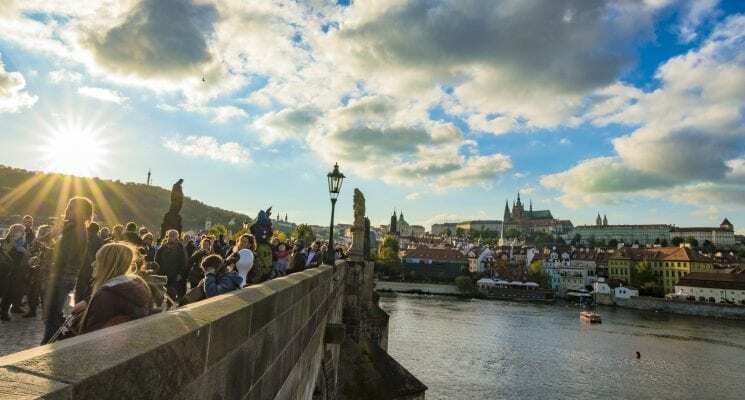 It’s an excellent option for anyone arriving by train or anyone who wants to easily explore the city without having to stay in the crowded Old Town. As always the Wombats hostel runs a clean operation and their comfy wooden frame dorm beds ensure guests can get good night sleep (no clinking metal ladders). Guests also enjoy complementary sheets and towels so there are no extra fees to drain your budget upon check-in in this Vienna hostel. 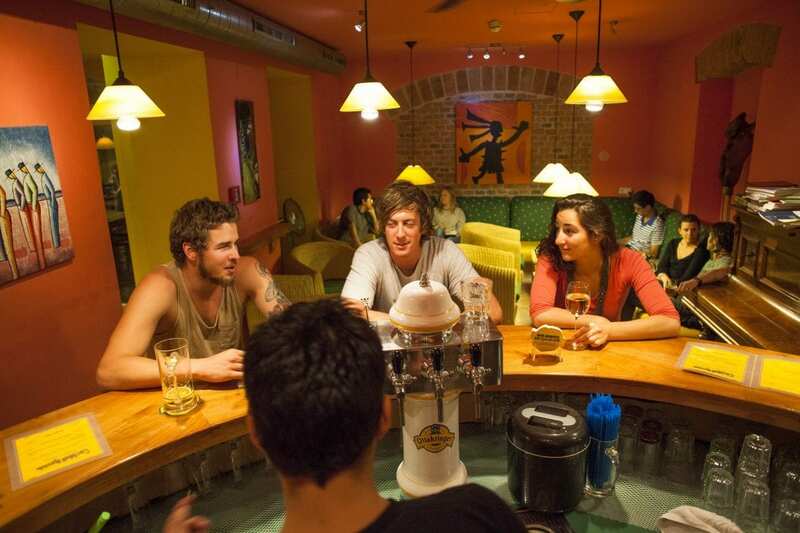 The hostel lounge is a must visit for anyone looking to socialize. It’s spacious, has a stellar atmosphere, and most importantly, the drinks are cheap! It’s a great spot to enjoy a few rounds before heading out for a night on the town or after a long day of sightseeing. This Vienna hostel also has an on-site kitchen with complementary pasta, tea, and coffee; self service laundry facilities; and an all you can eat breakfast buffet for €4.50 that’s actually a decent value. 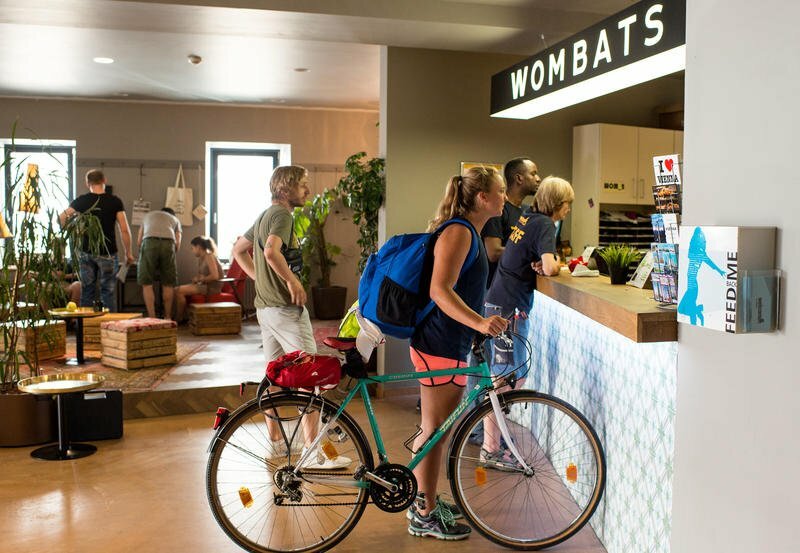 We’d say the Wombats Lounge Hostel scores highly in every important category a hostel should be judged on and as such it is one of the best hostels in Vienna! For more information, reviews, or current pricing for Wombats Lounge Hostel check out HostelWorld or Booking.com! While the Meininger Vienna Downtown Sissi is technically a hotel, it’s designed to feel more like a hostel. While guests will enjoy private rooms, from single to quad, the hotel offers all the benefits of a hostel including great value for your money, common areas for socializing, and a guest kitchen. Additionally, the hotel is located in the Leopoldstadt district of Vienna, near the Karmeliter fruit and veggie market, and away from the crowded center. Anyone staying here will be happy to return to this quiet and charming neighborhood after a day out and about in Vienna. The pet-friendly Vienna hotel has a modern design, comfy beds, a quiet atmosphere, and clean facilities. The staff are friendly and polite, so you’ll feel right at home. Additionally, there is an onsite bar and lounge so you can socialize with other guests, or head out to one of the many nearby restaurants, cafes, and shops. The Meininger Vienna Downtown Sissi is a great option for anyone visiting Vienna that wants a bit of privacy and quiet during their trip but also the option to socialize and meet other travelers. It’s absolutely one of the best hostels in Vienna. For more information, reviews, or current pricing for Meininger Vienna Downtown Sissi check out HostelWorld or Booking.com! The sister property to the Meininger Sissi, the Downtown Franz hotel is another great location for travelers visiting Vienna on a budget. This Vienna hostel, which is located in the Jewish quarter in Leopoldstadt, also offers guests the option to have a private room but not miss out on the opportunity to socialize. It’s clean, relaxed, and pet-friendly. It’s also just a few minutes walk from the Schottering U-bahn, giving easy access to the city center. The hostel has 131 modern, non-smoking, private rooms (singles to quads) with bathrooms; and dorm rooms. There is an on-site game room, guest kitchen, laundry facilities, and bar. Meininger Vienna Downtown Franz is a fantastic budget-friendly hotel option for anyone visiting Vienna. For more information, reviews, or current pricing for Meininger Vienna Downtown Franz check out HostelWorld or Booking.com! If you’re looking for a bit of peace and quiet during your city break to Vienna, the Palace Hostel is absolutely where you should book your stay! 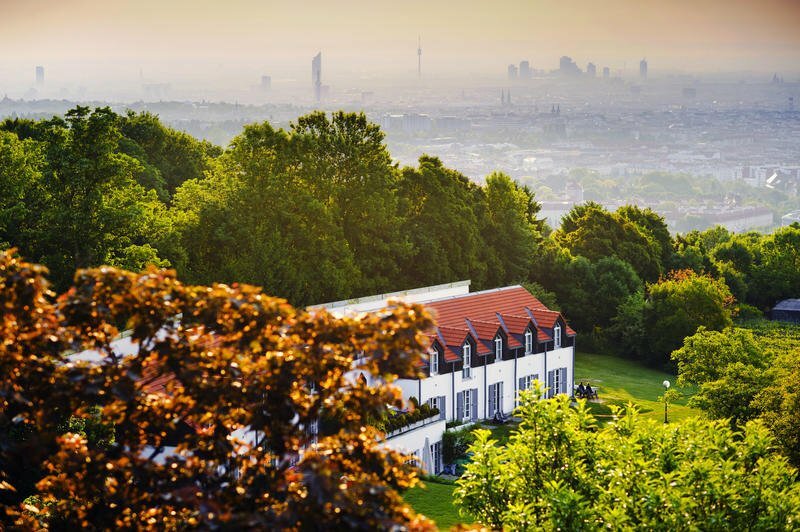 It’s located inside a huge park above the city, affording sweeping views of Vienna. Additionally, the hostel is eco-friendly and affordable. It also has a number of common areas including an indoor lounge, children’s corner, and two terraces, and a garden to relax, dine, or sunbathe. If you’re into sports, you might enjoy the mini-golf course or volleyball court on-site, or rent a few walking sticks or a mountain bike to set off and enjoy the nearby natural surroundings. As far as rooms go, you wont’ be sleeping with 20 other strangers. Nope, the rooms in this Vienna all have two bunk beds so there will be no more than 4 people in a room at one time. The hostel, of course, offers free WiFi, and has a laundromat and breakfast room. So, if you’re looking for a peaceful location that offers the opportunity to embrace Vienna’s city and wildlife, the Palace Hostel is definitely one of the best hostels in Vienna. For more information, reviews, or current pricing for Palace Hostel check out HostelWorld or Booking.com! There you go guys, that’s our take on the best hostels in Vienna. We hope we have given you guys a bit of inspiration for visiting this fascinating city. As always, happy travels and we’ll see you on the road!